Hello hello hello! I’m glad to be back and in great spirits after a tiresome month of playing in State Championships. I’ve always had a soft spot in my heart for these events because they were the first events that I ever attended! Rewind all the way back to 2009 and we have a young, high school Brit ready to battle with some awful Grass deck at the Kansas State Championship. Expectedly, I did not do very well, finishing at a pretty mediocre 3-3, but it was here when my competitive spirit was ignited. As such, I have never missed Kansas States in my entire career and look forward to these events more than almost anyone I know. To quickly catch everyone up to speed from my last Underground article — “Gorgeous Florges” — I was able to attend Florida Regionals and get an early taste of the Primal Clash format. Through brief testing and the determination of some close friends, I decided to play a Primal Groudon deck, which was a blast to play, but unfortunately I did not have the best of records. I ended up going 4-1-4 (starting out 0-0-3) and missing cut though I did not finally lose until the ninth round, so there was always the possibility I could make cut, but alas I did not. Most of these ties, I thought, were just your standard 50+3 beats. “If only I had one more turn,” or “I had 1 Prize left to his 6 … how was that possibly a tie? ?” and so on. Of course, Groudon proved to be a slow deck and I myself have always been a slower player, but I do believe that I should have performed a bit better. At any rate, we now know all about what went down in Florida and how Flareon ran the day and went on to define the early metagame. I’ve never thought that Flareon was good and I will go on record right now to say that I still do not think it is good despite the success it has seen. The Primal Clash meta did not appear to be very diverse at first, but now that State Championships have all concluded, it is all over the place which is a real joy as a player and a writer. So many different decks came out on top and it really seems like almost anything could be viable with proper play and a little luck. I was able to attend three weekends of States (the first, second and fourth), willingly sitting out the third to take a much needed break. I was largely successful at all these tournaments and happened to make a very different deck choice for each one and so for everyone still preparing for Spring Regional Championships in this format, I think each of my decks will prove worth investigating depending on the metagame you expect. The return of Seismitoad-EX decks was undoubtedly the highlight of the beginning of States. Flareon and Night March had a scary amount of success at the only event with results from Primal Clash and so countering those decks became the main goal of anyone trying to come up with a play. Since the release of Furious Fists, I had never been inclined to play a deck that could only Quaking Punch. Something about it never appealed to me or simply seemed too linear, but my early testing quickly focused on very normal builds of Seismitoad/Slurpuff and Seismitoad/Crobat. I liked both of these decks a whole lot and began to lean towards the former for the Missouri State Championship. In a nutshell, I felt like Seismitoad + Trump Card and Super Scoop Up (a feature that both of these decks had) would inherently be favored against the Battle Compressor decks (which were just Flareon and Night March at this point) and Landorus/Crobat. From there, the only other decks to worry about were opposing Seismitoad decks. 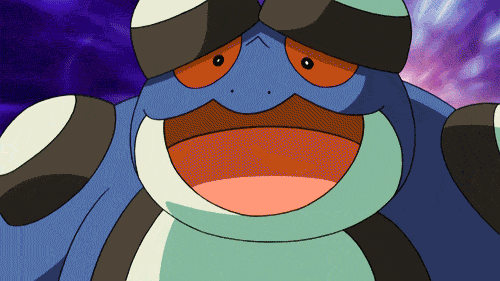 Testing lead me to conclude that the mirror would always be won by general consistency and the amount of anti-Toad Supporters (Pokémon Center Lady, Xerosic, Team Flare Grunt, Cassius, AZ) in the lists. This conclusion made me believe that my Slurpuff-focused list would be ideal for the coming weekend or so I thought. Friday rolled around and as always I had been discussing decks and my thoughts on the format with my pals. Through grinding several Toad mirrors over and over again Mees and Aziz had figured out a Toad deck that would always win the mirror. The list went up and I did not believe it all: four Roller Skates, four Acro Bikes, four Random Receiver and so on. How could a list so full of these gimmicky Items possibly have a chance at an opposing Quaking Punch? I am aware that Brandon Smiley posted this list, but I would like to note that he did so without talking to anyone behind the creation of the list and merely got the information from third parties. This isn’t necessarily wrong, though I am a bit irked to not be the one debuting this list. But I digress. You will also notice that the list above is 59 cards and this is because we went back and forth on the final card until the very last second. If you read Brandon’s article, you’ll know that we all opted to play the third Virbank, but briefly I’ll get into the choices that could have been. We all opted for this card because it is never bad to consistently be sticking your Stadium in play as soon as possible. The main reason for it though was so that we could always manage to hit Leafeon PLF for maximum damage, allowing us to eliminate its presence as quickly as possible. Leafeon, at the time, was the only real threat to the deck and so dealing with it as efficiently as possible ended up being our main reason for this card’s inclusion. Similarly to how we decided to play an additional Virbank, this card would have been included to attempt to combat Leafeon. I think it actually works very well, but the utility of the Stadium card still ended up being more important. I think it is possible to include two or three of these cards into a Toad list that runs Garbodor and have a real shot at beating Virizion/Genesect, so keep that in mind for later testing sessions. As you might have noticed, the list plays no Catcher effects, which rarely is a problem, but there is always the threat of some Yveltal player building up one giant Evil Ball and sweeping the game. Dedenne would of course prevent us from losing to that kind of strategy and perhaps should be considered in a metagame with lots and lots of Dark decks. Okay, so there’s the list explained, but I imagine that many of you are still wondering how this beats other Toad decks. Despite what you might have heard from friends or read on Facebook, it absolutely does and anyone who has seen success with this deck did not just get lucky. What happens is with Keldeo and four Float Stone, you are practically guaranteed to Quaking Punch with a fresh Seismitoad. 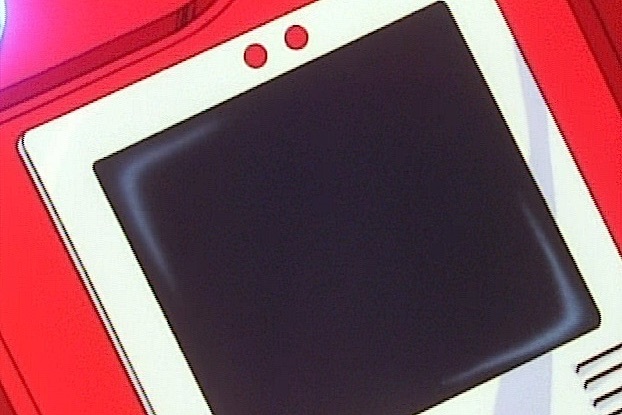 In the most ideal (but not all that lucky) scenario, you will be able to attach a Float Stone to Keldeo and chump block with a Jynx or Seismitoad if you’re going first so your opponent does not damage anything important before you begin your lock — and if going second, the Keldeo will enable you to retreat out of any Laser damage and attack with an undamaged Toad. With four Muscle Bands, you’re likely to get more damage going and then Jynx then steps in to make the grinding exchange between Quaking Punches for 30-50 much less effective on your opponent’s part and as long as you can find two DCE within the first couple of turns, then it is an easy exchange to win. Cards like Super Scoop Up will help you dodge any early Head Ringer. Simply put, the deck is built to always get Quaking Punch as soon as possible and then there are little tricks that send the list over the edge in mirror-like scenarios. I suppose a top eight finish isn’t bad by any means, but it was not as well as I would have liked to do. My loss in round three came from my opponent getting Keldeo and Darkrai in play on their first turn which is a setup I surely lose to once it hits the board. Theoretically my Quaking Punches stop that from happening so quickly but alas. In the next game, I remember digging through about half my deck to find a Laser to KO a larger Yveltal and just whiffing it and losing quickly once again. Overall, this is something I would attribute to variance, but it did make me wish I had Dedenne. Top 8 was one of those depressing times where I just happened to get paired against the one deck I had absolutely no chance of beating. I am absolutely certain that I would have destroyed six of the other decks in top cut, but I sadly hit this guy. I do not believe that Donphan/Groudon is anything more than a gimmick, but the fact that all he had to do was attach four Energy and evolve to beat me made our series very quick. Curtis Lyon went on to win Michigan States with the exact same deck, which proved how powerful it could be and once again solidified my opinion that my team, Sheep, was always ahead of the metagame. Onward to week two! As my team predicted, Toad decks were by far the most winning and most popular the first week and thus our next logical move was to try and counter them as much as possible in the following week. I did not believe that Virizion would reemerge just yet because of the threat of Battle Compressor decks, so the first deck I looked into was Primal Kyogre as inspired by Kevin Baxter’s performance in Michigan. It was a really cool deck and a whole lotta fun to play, but in the end it just wasn’t as strong as I wanted it to be. I had planned on playing it for most of the week and so once again, Friday rolled along and I didn’t have a deck chosen. Thankfully, my team had already figured what to play. Mees and Aziz were so convinced that Exeggutor was by far the best deck out there. I had heard of Jason Klaczynski making Top 8 with it during the first week, but I didn’t really think much of it. It seemed like one of those decks that worked much better in theory than in practice, but after earning 50 Points from Missouri States, I was in a comfortable position to take a risk and scrambled all day Friday to borrow the cards I needed to complete the list. So there it is! The list that so many people have been asking me about. I do apologize for being off-putting or simply ignoring some of your requests for my lists. Ordinarily, I am pretty comfortable with sharing a list, but I wanted to keep this one under wraps so I could debut it in this article. Have you ever played a game where on the first turn you N’d your opponent to six and they drew into a whole lot of useless cards and just passed for the rest of the game. Imagine if you could do that every single game on your second turn. That’s my best analogy for explaining how this deck works. That may be an over-simplification, but more or less that’s how it functions. There are no decks that can properly function by only getting to play one Supporter a game and while I lump things like Virizion, Aromatisse and Mega Manectric decks into a “problem category” for Exeggutor, I would never refer to them as unfavorable since with good Hammer flips and blocking Supporters, there is nothing you couldn’t beat. As far as the list is concerned, you may notice that it does diverge from the perceived norm about the deck. That is, I do not play cards like Dragalge FLF or Munna BCR, both of which are certainly good, but I didn’t see the need for. I was able to beat four or five decks with Keldeo-EX without Dragalge so to me it just doesn’t seemed needed, though I’m sure it would speed up your matches against any decks that do feature Keldeo. I would never consider the Munna since it has two Retreat Cost and because the list does not run switching cards, you lose if you start with it. In a deck that already lacks any good starters, I would never want to add another abysmal one. Instead, I opted to play more consistency and cards like Ghetsis, which is worth its weight in gold against the Battle Compressor decks — which now include the mirror! I would have loved to fit a Town Map into the list somehow, as you cannot win most of your games without Trump Card, but otherwise I think the list is perfect though it was a silly mistake on my part not to play a Rainbow instead of the Water Energy. For the second year in a row, I had won a State Championship! After several years of trying and coming up short, I was ecstatic to be able to take home another first place trophy. States range in difficulty, and I always seemed to be on the bad end of variance with a good amount of top fours, but I was never able to take it all home until Blastoise last year and now Exeggutor. Winning with such an unorthodox deck was much more rewarding than winning with Blastoise (though I do believe that I had a better understanding of that deck than almost anyone), but with Exeggutor, I could prove a wider range in my playing ability. Unless a deck was focused on explicitly countering these pesky Eggs, it would have almost no chance. The inherent power of Blockade strongly convinced me that there was no reason to play any other decks, but only time would tell what I would play in the following weeks. Though I had the option to attend Iowa week three, I really had no desire to play. Winning Arkansas gave me a strong boost in the rankings and sitting out for a weekend gave me a much needed break. I did get to observe another player take first place with Exeggutor which led me to believe that I would need to be worried about the deck in coming weeks. Though I was sad that I wouldn’t be the only Master to take first with an Exeggutor deck, the deck’s victory in Iowa gave me the motivation to try and figure out the optimal play for the adapting format. 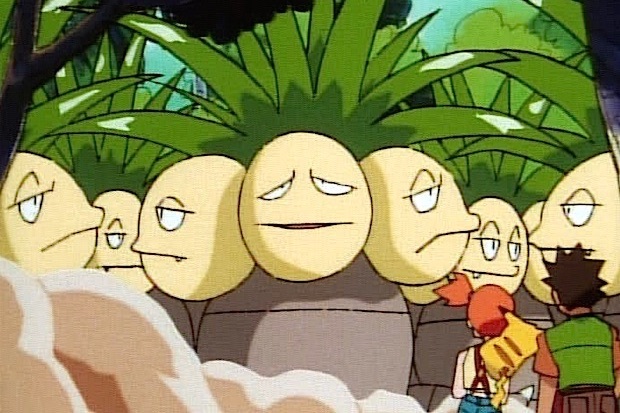 Unfortunately, I was unable to come up with anything substantial for the Exeggutor-tainted metagame. My team and I were able to work on a very interesting Mega Manectric-EX build with Virizion and lots of consistency cards. Both Manectric and Virizion were very annoying for Exeggutor to deal with if the Crushing Hammer flips weren’t somewhere above 50% and so it seemed like a wise deck. However, I could never bring myself to take it seriously as the perceived metagame that I would be entering into favored Fighting decks far too much for something so heavily focused on Manectric to be a safe decision. From there, I was at a loss. I did not want to play Exeggutor again because the mirror was so dismal. Whoever got the first Blockade (so essentially whoever got to go first) would almost always win. There are a few key decisions (like not benching an Empoleon so your opponent couldn’t use Red Signal on it) where you could outplay an opponent, but as a whole it was not a matchup that I wanted to think about. 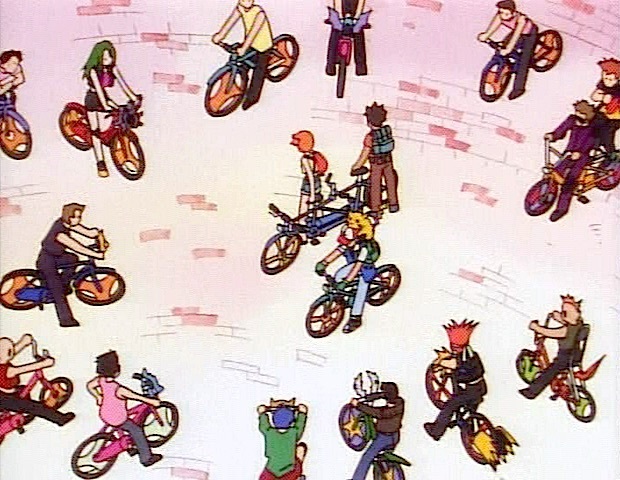 If I couldn’t think of something new, perhaps the answer to the metagame would then have to be an old favorite. There is little I could say about this deck that Ray already did not talk about in his article. The only real change I made was to subtract his second copy of Colress for a Professor’s Letter. I made this change because Letter was a soft counter to any Exeggutor that I expected and it is simply a safe card that you do not mind seeing in your opening hand, as opposed to Colress which you realistically do not want to see until much later in the game. After that, I opted to play two Enhanced Hammer because I wanted to focus on defeating mirror and Fighting decks. The other option here would be to play Head Ringer, which would be more geared for a metagame with lots of Virizion and Seismitoad decks. Through my discussion with Ray about the deck, we both came to a conclusion that the reason that Yveltal is often an underexplored deck is simply because no one good is choosing to play it and not because the deck itself cannot compete. For instance, performances of people like Dylan Dreyer at Florida Regionals with Yveltal inevitably got ignored not because the deck didn’t have promise, but simply because people were more focused on the new, novel concepts like Flareon + Archie’s Ace in the Hole and the Primal Megas. As I expressed briefly last article, I think that what decks see play is largely based on novelty and playing with new toys and tricks rather than dedicating your play to things that are intrinsically powerful. I could tell in the games that I tested with the deck that it had so much sheer power and seemed to be about even with almost any deck in the format. With that in mind, I figured that my own optimal play would put me in favorable positions versus almost any opponent and so I traveled to Kansas in attempt to defend my title as State Champion. Initially, I observed many more Manectric decks being played which made me uneasy about my deck choice, but surprisingly the matchup is pretty even still if not a little favorable. I got pretty darn unlucky to lose my second game in the series with Seismitoad/Manectric/Crobat and went on to prize both Seismitoad-EX and Darkrai-EX. In top eight, I proved this point pretty handily by beating another Manectric deck in a lopsided series. Going into top four, I basically expected to lose. As discussed above, I opted to not tech my deck for V/G and it clearly showed in this final series. Though I easily could have won, I’m sure playing a few copies of Head Ringer in my deck would have made it a bit more manageable, but alas. My tournament in Kansas ended with yet another top four. The Virizion player would go on to defeat another Exeggutor in the finals. The format has gone through … cycles. We kicked off the Primal Clash format with Florida Regionals, where everything was underdeveloped and undertested. The decks that did well were mostly just older concepts plus the novelty of Flareon. From there, attention quickly shifted to the new Battle Compressor decks with Archie’s Ace in the Hole and everyone was too scared to play Virizion which allowed for Seismitoad to completely dominate. Seismitoad was then the next deck with the target on its head, which allowed for Virizion to seep back into popularity and allow for the then rogue Exeggutor to slip into the metagame. By the end of week four, Exeggutor was no longer a rogue deck, but a clearly defined tier 1 deck. I think it would be silly of me to take total credit for Eggs’ popularity, but as I read through all results from the past week, many of the players who opted to play the deck asked for my list or advice on how to build the deck, so if you lost to the deck this past weekend, you can partially blame me! So if this is the picture for the Primal Clash metagame, what could that mean for the several Spring Regionals to be in the same format (with the probably irrelevant additions of Double Crisis)? Exeggutor is at a very odd place because in theory I do believe that it beats everything if the flips go well, though Virizion, Mega Manectric and Gardevoir decks with their Energy acceleration are a bit irksome. Though some may call this a rock-paper-scissors format, I am not too fond of such an assertion. Some decks clearly have an advantage over others, but I think calling it nothing more than RPS is frivolous. People who write the game off as nothing more than “Oh it’s all luck, you have to get the right pairings,” seem to be the same kinds of players who always do poorly and talk about how skill-less the current format is and talk about how great things were back in the day. An RPS format strikes me much as meaning that there are only three good decks and x beats y, y beats z and z beats x, which is certainly not the case here. Our current format features a ton of decks and though some may be favored over others, that does not mean that the interaction between the decks is as simple as paper beats rock. There may be validity to some of these claims, but certainly they do not deter the excellent player. Someone committed on doing their best would never be brought down by this aspect of the game and would always be focused on making the right choice with the right deck. To close, I think that this format is a very open one where success is determined by deck choice and playability with the bits of variance shortly following. Perhaps I am overly optimistic though. At any rate, the next event I will be attending is the Regional Championship in Kansas City so I look forward to seeing many of you there! It will be one of our last events in the BCR-PRC format and I believe that we will see yet another shift in the metagame. Decks will now be overly concerned with Exeggutor as well as their previous foes and I think this will make for some very interesting results. But again, only time will tell. Until next time!